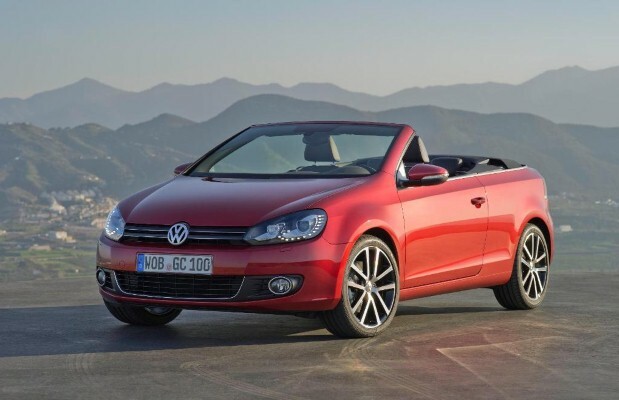 The new Volkswagen Golf Convertible comes to the UK in the summer. Let's hope the sunshine is close behind it! The first pictures of the new Volkswagen Golf Cabriolet have been revealed ahead of the car’s public debut at the Geneva Motor Show next week writes www.totallymotor.co.uk. As the latest two-door, four-seat, front-engine soft top from the company, it will also be the first Golf Cabriolet available since the Mk IV Golf. Still, with the new model comes plenty of updated technology. Above all, it boasts an electrically-powered soft-top which can be opened in just 9.5secs that can be operated on the move, at speeds of up to 18mph. Diving enthusiast Alex Mustard, 36, has made many strange discoveries while exploring beneath the water’s surface. His pictures, taken while investigating the insides of eerie shipwrecks, include barnacle-covered motorbikes once meant for British troops in World War Two. Rusty British trucks also lie forgotten in their watery graves along with rifles that have never been used, and one extraordinary photo even shows the shell of the iconic VW Beetle car. 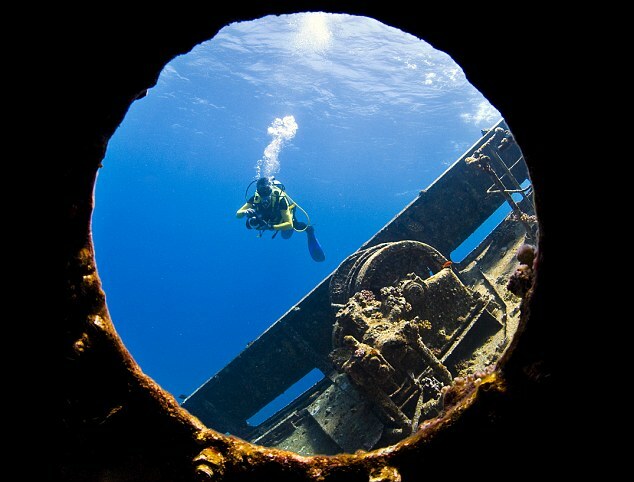 Alex, from Southampton, Hampshire, said: ‘Wrecks attract divers because of the incongruity of seeing something from above the waves beneath them. 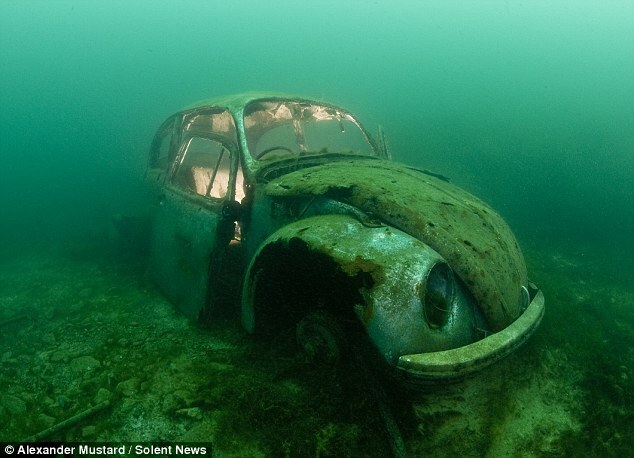 ‘The VW Beetle was purposely sunk for divers and it’s particularly bizarre – it’s the last thing you would expect to sea underwater. Long time VW enthusiasts Brett Hawksbee, Brian Burrows and Pete Fearn launch their latest venture next weekend as Saturday 19th February sees the Grand Opening of the newly refurbished 8 Ball Diner in Essex. 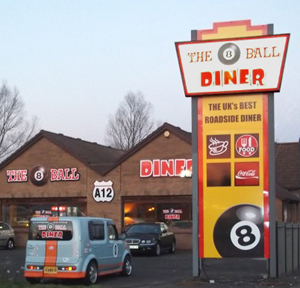 The guys have created The 8 Ball Diner with the vision of providing the best facility in the UK for any car or bike enthusiast club or group. The Diner reflects its owners’ passions for cars and bikes both new and old, 50s lifestyle, Bikes, Drags, Vintage and Kustom Kulture – but their ‘take’ on this still manages to offer the style and comfort of a truly 21st century restaurant and bar. They care about the food, their customers, and the facilities, just like they always have done when promoting VW events. They are currently building a calendar of events for 2011 and onwards, with clubs ‘hosting’ a regular night, breakfast meet, or day meeting at the 8 Ball.